Through the magic of the internet, virality of publications, and, finally quite good, derivation suggested by social networks, I had the chance to meet Mike, aka Cloundnumber (or Cloudn#), founder of the pertinent label Fullfridge Music. The Grenoble (France) based, handcrafted, record company had already caught my attention, especially because of the release of the producer Mock The Zuma and the guest appearance of ZUTZUT, invited to the label radio show. 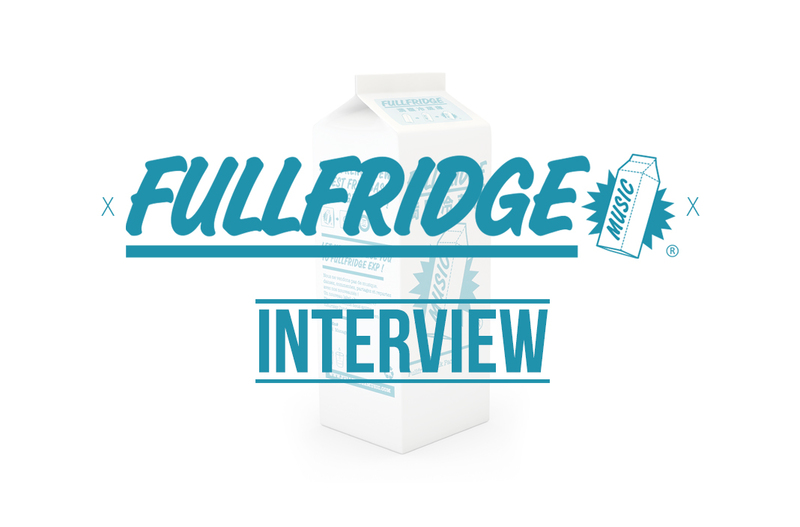 Then, a series of inbox and talks about “weird bass” music later, it was totally clear: I needed to interview Cloudnumber so he could introduce Fullfridge Music project himself in our columns. 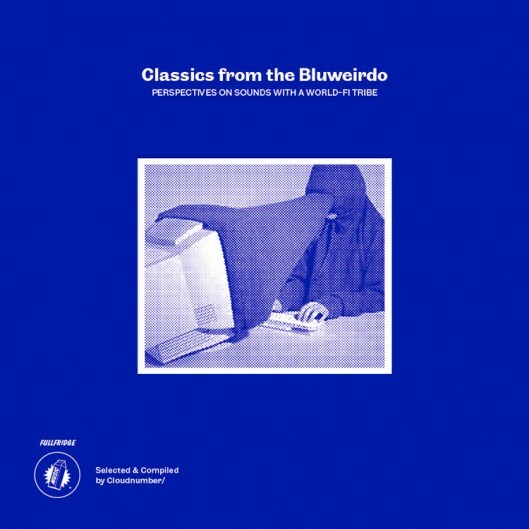 And for once CxC isn’t TOO late, today exactly (June 9th, 2015) is released the first compilation of the label entitled Classics From the Bluweirdo : Perspectives on sounds with a World-Fi Tribe (focus and stream at the end of the interview). What is Fullfridge Music and how the idea was born? 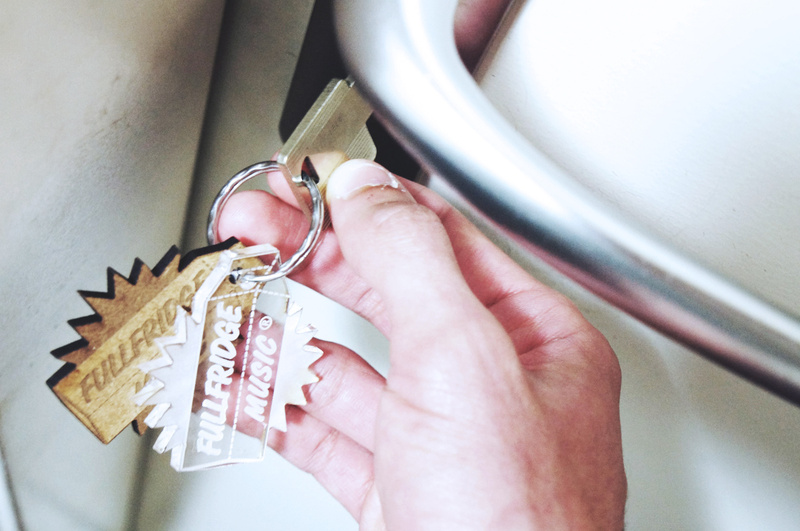 Fullfridge Music is the name of the label, and a memo-technical way to remember the code of the safe which was used to store ideas and experiments in progress. It is also a team that brings together a group of friends and artists with whom we’ve worked for a while on projects for both characters and common. The idea took shape in January 2011 in response to the world around me and productions. It seemed essential to mount a production structure, to meet a family and materialize its writings. This is what I have been doing through the discs and other media listening that we manufacture in a rather DIY spirit, mixing in the pocket. What is the ambition of the label? The concept? There is no real ambition with a business plan behind. The original idea for me is being able to collect the work of producers around me, coming to me, or that I’m going to meet. It was also, at first, a desire to highlight a scene from “bedroom producers”, and to accompany them in digital outputs first, before following the discs. In parallel, there was also the idea to reflect together with artists in all possible formats in which you can get sound from vinyl DIY object passing through performance or mixtape. In short, give to artists who are bounded by a sense of musical research and a common mood, visibility. Focus and stream of the compilation at the end of the article! How do you fit in the electronic music scene? By magnifying a bit far, it would be somewhere between the dance music scene and the experimental scene, in their broadest senses. In terms of heritage, I would say that the post-punk era has been important for me, especially for everything related consideration traditions and ethnic and borrowings in music. Its also popular aspirations. It’s a feeling I later found with dubstep in 2003/2004, and which also I think this project represents music than can be called “niche”, if only by necessity UFOs make live music of my friends. Then, to develop a somewhat broader view, we are all fascinated by the pioneers of GRM, composers such as Steve Reich, Charlemagne Palestine, Richard H. Kirk and Matthew Herbert or labels work as Ocora or Le Chant du Monde . And regarding what is happening right now, we feel pretty close to pioneers labels like Morphine, Principle Discos, Music In Context, Opal Tapes, Sahel Sounds, N.A.A.F.I., Local Action, Young Echo, Diskant, Diskotopia , Arabstazy or Laitdbac. We can read on your website “We believe in Localwide Weirdos”, it looked like a slogan, what do you mean by? In fact, the concept of local and global music does not mean much to me. That’s why I like to put them on the same level. It’s all about individuality. Besides, when you historically observe how the acceleration of Chicago house gave birth to the juke, Is it that there are no parallels to do with the musical evolution of the South African electro scene with kwaito which starts on a slowed house beat US, and a decade later, the emergence of a rapid and frenetic style as the Shangaan Electro? All these developments are everywhere, and the Portuguese scene recently proved it again with the current Tarraxinha scene of Lisbon, which is only an abstract form, slower and more syncopated Angolan kuduro. The scenes are growing at the speed of light with artists influenced by a priori the same basic dance but who honor and subvert the same time by a level of experimentation without limits. To return to “localwide weirdos” is also a nod to some of the exotic clichés that we often hear when we talk about an artist or a particular scene. Geographical origin still seems a determinant that sometimes clears the constant intermingling of styles which has always been. We went from world music to the Global music … OK, the term has changed, but for me the result is the same, everything is a question of hyper-places that you can compare with measures in some other places in the world. With or without the Internet, there has always been millions of brews from Colonialism. It’s cool to try to limit amalgams the best you can. It works more like a local grocery store: physical or spiritual closeness is favored, it is essentially as one is daily open at worst you put a note on the door, our discs are not more expensive than supermarket ones and sometimes more credit is made. Seriously, I alone take care of the artistic direction and it works more in the idea of ​​bringing together a group of producers to perfect a representative catalog. By my side, I’m surrounded by a small but locally fairly complete team that assists me in sound, image, and Internet communication. Since 2011, the family has grown, and today the idea is to be able to follow each of the artists and develop their projects. We are always in contact, and projects come one after the other in no particular order. Who are the team members and how do you divide the tasks? For the visual identity and facing products on the shelves, I work with Rémy, the BrestBrestBrest graphic cabinet. He held for years the excellent homemade label pop Sorry But Home, and also it turns solo under the alias Chevalrex. He also recently installed a new label Objet Disque which includes a new race (or not) of French singers. For sound engineering, I work with Kinou, a childhood friend, and all that is photography, I work with Pauline aka Lily Cup,, a photographer who did a lot of exhibitions recently and works hard around the theme of irony. This is what makes 99% of the photos and videos of the label and the collective. She is perfect. Finally, there is also Alexandra, our Japanese correspondent, who handles the translation of our explanatory notes, Coralie that manages our wonderful website and its coding flawless, and Damien, an editor with whom I lead in parallel Blasterama a monthly radio program on Campus Grenoble focused on urban micro-scenes on all five continents with mixture of curiosities and new, past and future, and ghetto pop, dance and experimental. As for me, I manage all that is artistic direction and management. Beyond this close team, I also make use of external service providers for certain stages of the disc, such as vinyl mastering. For our first releases, we passed by DK Dubplate Paris and Berlin, and for the output of vinyl of Mock The Zuma and Lokom‘s one, I appealed to Rashad Becker that you probably know, who did a fabulous job. For the record, I am also a big fan of his characters and projects on Pan Apparent Extent, including ethnic approach he manages to inject it. How did you discover the artists of your label? It is quite naturally through common knowledge, or according to my personal diggings on the net or in stores. Mock The Zuma for example, I discovered him by chance by falling on his Soundcloud. Zoltan followed later because he had met with Mock The Zuma. Hasan Hujairi, I met him doing a research on the current experimental scene of the Middle East as part of a proposed radio session. Dogboy, Zied, Lindus Phrasen, The Synaptic Uncowl,I knew them through this early-dubstep scene in Paris that I attended at the time. With A Taut Line, which operates the Tokyo Diskotopia label with BD1982, was an acquaintance because we sent our respective outputs. And Do not DJ, who also plays in the excellent band The Brothers Durian, the meeting was natural because it was concerned both with the notion of exoticism applied to music. In short, it’s a bit of coincidence every time. What did convince you to produce an artist over another? It is above all a meeting with the artist, it seems essential to me. For each project that we realized we have never targeted an artist and pieces in particular, or to invite a big artist to give us light. I never tried to make sponsorship remixes for example. After it is a different cooperation every time, some artists will work in their corner, they deliver you turnkey project and discusse later, while with others, I will take a bigger part in the upstream for the artistic direction of the songs. We live in free marriage somehow. Then I always try to bring in artists to loosdé of side projects they would not dare necessarily offer labels which they regularly work. For example Lokom, who recently released digitally quite dark muscular abstract projects, at the same time, he went on his first Fullfridge vinyl with a symphony that was sweet as well as dazzling and chivalrous. Tell us about an anecdote from a particular producer. A meeting that you want to share with CxC. Kevin (Mock The Zuma), we first met five years ago on Soundcloud, almost by chance, even before I have the idea to mount a label … Two years after we opened hostilities with the first EP in digital and even two years later, they produced their first EP on vinyl. So, for the occasion, I was visiting him in Mexico last year, in February / March 2014, as part of the festival Norm Monterrey in which he participated. To put you a little trick, Norm, it’s a festival on the rise, with a fairly sharp line-up quite subtly blend of local and international artists. As Kevin is also near the collective NAAFI, we first spent a few days in Mexico City in the latter, who has welcomed us beautifully. The opportunity to chain some pretty crazy shots evenings, like a nocturnal experimental music concert in Mexico City Toy Museum, or an after party in an armored warehouse with Total Freedom on the decks for 3 hours. It was when Kevin Monterrey joined to us, who played in a Baroque weird club all with stuffed animal heads, and a few days later, we all attended the festival closing with Spinn and Rashad (RIP) we joined the decks for a set madness, all in an insane rain and surrounded by a public back to block. A great time! Beyond that, it was mostly an opportunity to discuss in depth with Kevin, who is one of the strongest and generous producers that I know, and whose Replicators EP is probably one of the Fullfridge‘s outputs which I am proud the most. 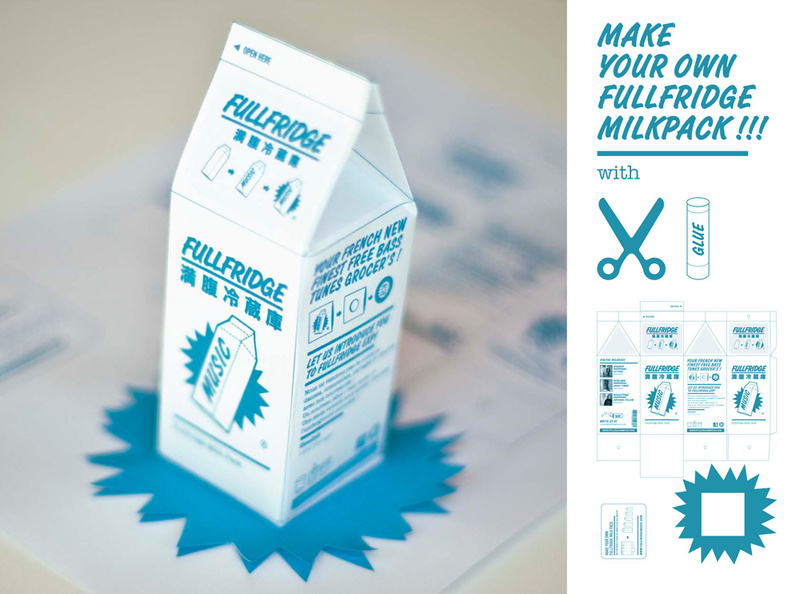 Fullfridge Music publishes mainly digital, but the catalog also has vinyl releases, and even a tape… it is important for Fullfridge to provide physical outputs? At the launch of the label and during its first two years, from 2011 to 2013, we chose to present the family, and digital ally for free, It was a good way to talk about the team of artists who built gradually the catalog. But two years ago, in a development concern for either, the label and the artists, we got out of the net diagram label to focus exclusively on the physical, although our outputs are of course always available in digital. We grew up with vinyl, cds, tapes, bizarre objects specials with music to nab it. It seems logical to us. After it’s also a matter of context, the type of music sometimes depends on its initial listening support. I have nothing against the 128kbps and ringtones compositions if the idea and emotion are there. Still less against the meeting of an organic world and a digital world, I dream of the two night. 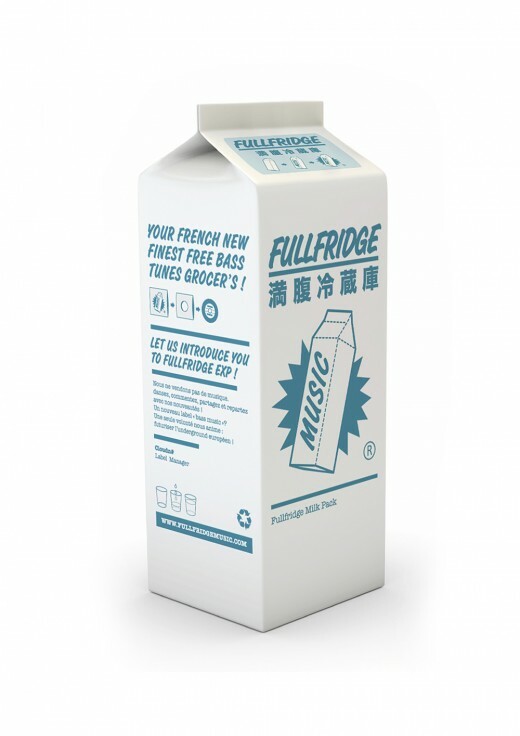 Fullfridge Music is a label, but not only that. Could you tell us about your events and your radioshows? In parallel to the outputs of the label, I launched in 2013 the “Weird in Sessions”, a project of nomadic residence also comes well as evenings of radio. The idea is to provide a fertile ground for experimentation with artists of the label but not only. As these sessions are set up depending on meetings, their frequency, although supported, is completely irregular. And the fact that they take place every time in different places, It also greatly influences in the way that they will take form. From the depths of a living room to a museum hall via a feast in the open, everything is an excuse to mark the occasion from the time of a session. And in the same way, all media are permitted and recommended, the live video game play to the darkest traditional instruments, but not snub the good old USB. Obviously, this is also the way to keep the day’s newspaper to label disseminating dubs, upcoming trips and those of friends labels, but above all it gives us the opportunity to share the stage with visiting artists or invited for the occasion. What are the projects to come for Fullfridge Music? 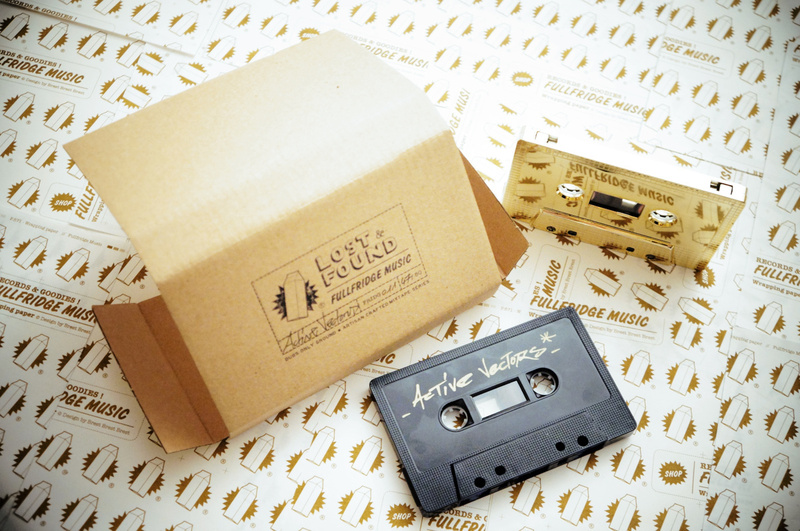 There are a lot of things going for 2015 and 2016, I try to keep it as a surprise every time but some artists compilation, and even other non compadres on this project should tumble within more or less short on formats EP, recorded live performance or other more obscure formats for some. In short, vinyls and cassettes outputs basically some DIY products and also a draft “Weird in session” filmed that should, hopefully surprise more than one. 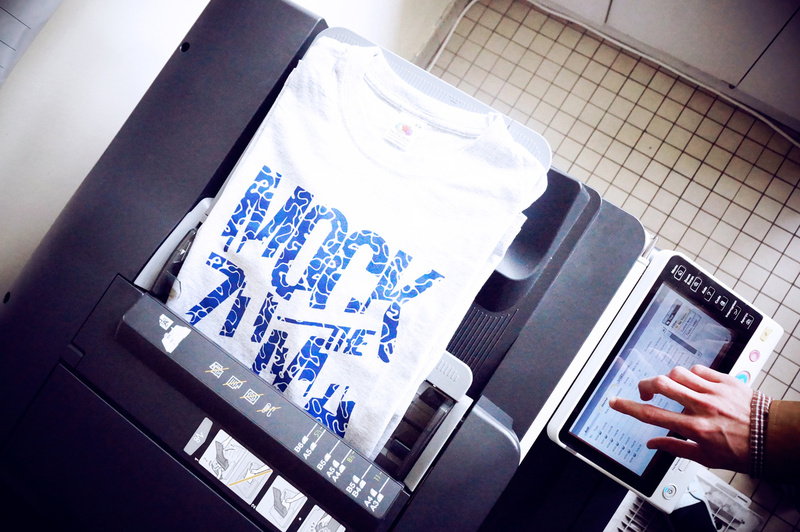 I also want to push the radio creation as early … As our slogan, Next One Is Always a Special / Wait For the Signal! … We must be ready! And finally, if you come to Grenoble, where can we listen to Localwide Weirdos? the better the limit is that you walk in my store earlier this afternoon, and I’ll introduce them to good people. You have just released the first compilation of the label, Classics From the Bluweirdo: Perspectives sounds with a World-Fi Tribe. Firstly, Could you explain the title of this compilation? The Bluweirdo could be likened to a kind of musical island, the origin of all the artists on the compilation. If they now make up a diaspora spread between Ciudad Juarez, Tokyo, Manama, Cairo, Tunis, Philadelphia, Montreal, Amsterdam, Berlin, Paris, Biarritz and Grenoble, each of them continue to lease the land in his way of Originally, they all left with regret. So, while they are waiting they may be able to return one day, they keep in touch via different networks and Wi-Fi connections, and express through songs in this compilation, connected by an invisible thread, the vision and moods that drive at the thought of their homeland. What is the idea behind this compilation? The principle of this compilation is to reflect a certain idea of ​​electronic music “without school choice,” but that would draw its experiments in ethnic music. In other words, more or less trying to take over the 2.0 Ocora compilations. Why not!? It depends on the vision that we have of it. Of course, one does not collect sounds in the same way, we do it at home, at a distance, moving between different music platforms linked in some way to each other, and of course, subjectivity takes precedence over objectivity that works is saw by heart stroke on artists and songs. But somehow, it’s true that through this compilation, and by extension the label, there is a will, as naive as it is, trying to conceive what could be a record type Ocora or equivalent in 2015. 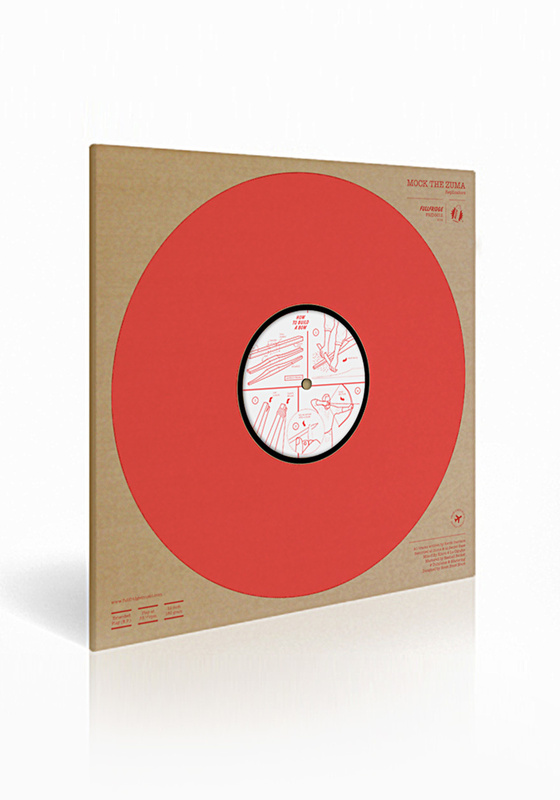 And to order the elegant limited physical edition of Classics From The Bluweirdo, please click here.